Dr. Mattay specializes in screening skin cancer and treats skin cancer, cosmetic dermatology and surgical dermatology. Dr. Mattay’s practice of excellence began early. She graduated as valedictorian of her high school class from Marshall High School in Falls Church, Virginia. From here, she graduated first in her class after completing undergraduate studies at Georgetown University. 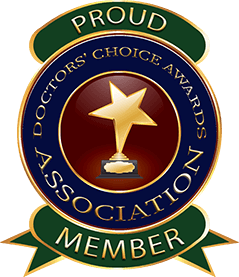 Dr. Mattay attended the Medical College of Virginia in Richmond, where she was voted into the esteemed medical honor society, Alpha Omega Alpha. 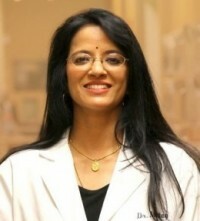 Her medical career advanced upon completion of her educational studies with a year of internal medicine training and three years in a dermatology residency, both completed at the Medical College of Virginia. Here, she was also recognized for her commitment, receiving the Dermatology Department’s Award for Excellence in Academics and Teaching. Dr. Mattay is currently on staff at the George Washington University Medical Center. Dr. Mattay has developed a successful dermatology practice because she is a knowledgeable, compassionate, and experienced physician. Her patients love her! Dr. Mattay is a mentor, an exemplary clinician, and has a wealth of experience treating skin of all ages and types. Dr. Mattay is a great physician, providing her patient with both clinical expertise as well as a healing human touch. Her patients deservingly trust and love her.